Having the chance to engage with clients and deliver excellent customer service is what drives Debbie in her work each day as Property Manager. By offering a high degree of attention to detail, Debbie finds that she can tailor solutions to meet virtually any need. She also approaches her work with an eye toward saving money for her clients while developing a personal relationship. 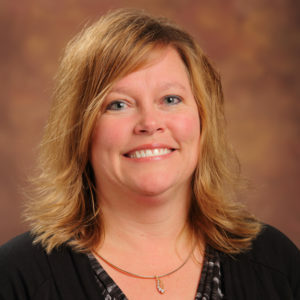 In the property management industry since 2012, Debbie earned her Accredited Residential Manager (ARM®) designation in 2018, and is an active member in the Institute of Real Estate Management (IREM®) Milwaukee Chapter #13, where she enjoys networking with members and learning the industry on a deeper level. Debbie also fulfills the role of Chief Event Officer for Outlook Management Group, LLC, AMO®, and plans each party and event with a creative flair, always looking for ways to surprise her co-workers and guests. In her free time, she enjoys bowling, bunco, and volleyball, and is a vocal and enthusiastic sports fan for her favorite teams—the sport doesn’t matter as long as her children are playing.